Are you drowsy during the day with no explanation? Do you snore loudly or wake up breathless in the middle of the night? If you’re experiencing any of these symptoms, you may be one of more than 12 million Americans who are affected by sleep apnea. Sleep apnea is a condition in which your breathing stops periodically during sleep, as many as 20-30 times per hour. Each time you stop breathing in your sleep, the resulting lack of oxygen alerts your brain, which temporarily wakes you up to restart proper breathing. 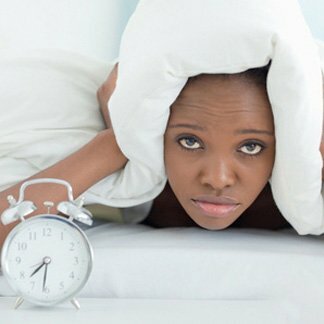 Since the time spent awake is so brief, most people with sleep apnea don’t remember it, and many believe they are getting a good night’s sleep when, in fact, they are not. The constant wake-sleep, wake-sleep cycle prevents those with sleep apnea from achieving deep sleep, resulting in a constant drowsy feeling during the day. There are three categories of sleep apnea. The most common is called obstructive sleep apnea (OSA), and occurs due to a physical blockage, usually the collapsing of the soft tissue in the back of the throat. Less common is central sleep apnea (CSA), in which breathing stops because the muscles involved don’t receive the proper signal from the brain. And some people suffer from “mixed” or “complex” sleep apnea, which is a combination of obstructive and central. ★★★★★ Awesome staff! I've been searching for a holistic dentist and so grateful to have finally found one. My new dental family for my family! ★★★★★ Dr. Aaron completed two fillings in a short period of time. She and the assistant thoroughly explained everything to me and kept me very comfortable throughout the procedure. Thank you, Rose Dental! ★★★★★ GREAT staff! Everyone is very friendly, professional, and helpful. LOVE Dr. Aaron. Please contact us directly for special holiday hours and closures.